Skate under the Tulsa skyline on one of the nation’s largest ice rinks measuring 9,000 square feet! The rink is open to the public for 45 days beginning November 23rd. Stop by the brand new on-site food truck, THE BANDWAGON, and order up some delicious holiday food and drink offerings. Beer, wine and hot drink options will be available every Friday through Sunday. Festival runs November 23 through December 31, 2018. The Museum comes alive with holiday events, visits from Santa, train rides, Lego Village, garden games, live music, shopping, décor, and thousands of lights in the gardens reflecting the spirit of the season. Festival Nights are special ticketed event nights which feature a NEW light show in the gardens, a NEW train ride through the gardens, live music performances, and refreshments. The secret is out... 2018 is in full bloom and The Mayo Hotel is ready for 2019! On Monday, December 31st from 8:00PM - 1:30AM, this enchanting hotel will celebrate New Year’s Eve 2018 in the elegant Crystal Ballroom. 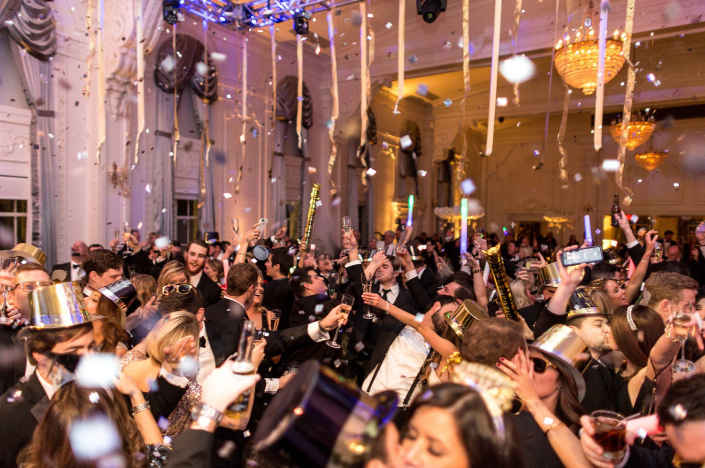 The night will entail The Legendary Crystal Ballroom, Luxurious Penthouse Rooftop Bar, Chic Small Bites, Leading Edge Entertainment, and a toast to Celebrate the New Year!